Can you guess why this new bakery restaurant went out of their way to offer a free bite of their product? That’s right – they want to get something in return, and that’s the attention of their target customers. The whole situation above depicts how a lead magnet works. Lead magnets are freebies of any sort. 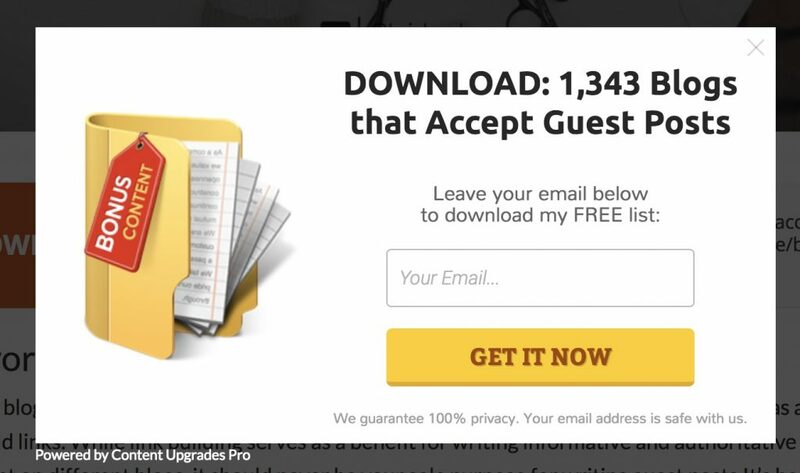 Smart marketers know they should give away an irresistible lead magnet if they were to compel their prospects to give out their most important piece of information: Their email address. Right now, you may be considering the idea of creating a lead magnet to include on your landing page or sales page. I congratulate you for that! Now, here’s one thing you should understand if you want your lead magnet to fulfill its ultimate purpose: It has to possess certain qualities. Allow me to show you an example. Imagine that you are an online business owner who sells dog crates and collars. To collect people’s email addresses, you create a sign-up page where you include a lead magnet which is an ebook about healthy living. Do you think people would want your lead magnet? Obviously, not. The most important quality that your lead magnet should possess is that it should solve a prospect’s pressing problem. Think about your niche and the market that you serve. What are you here for? Are you here to help gardeners choose the best tools? Or do you help business owners build a website that ranks? Neil Patel works closely with business owners to help them grow their revenue through digital marketing strategies. He offers a lead magnet, which he calls SEO Analyzer, that inspects several aspects of business owner’s website affecting its ability to show in search results. At the same time, this lead magnet provides suggestions on how to improve his website. If a user wants to analyze his website’s performance, all he needs to do is to enter is his website URL. The user cannot download the PDF results of his site analysis unless he enters his email address. Focusing on personal finance, Ramit Sethi creates a lead magnet in the form of a quiz that allows his audience to discover how they can make more money. Test takers can get the results plus a custom report that shows them their unique strengths only after they enter their name and email address. This free website grader has been generating leads for HubSpot since its launch in 2008. All a marketer needs to do is enter his website URL and email to know their current site performance. 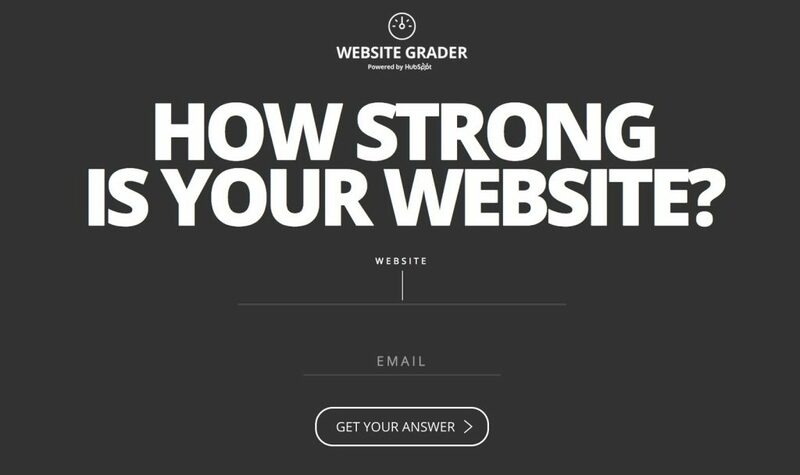 What this website grader does is that it checks essential aspects of a website such as page speed, mobile responsiveness, on-page SEO, and more. Most importantly, it suggests actionable solutions to resolve site problems. Any marketer who dreams of an optimized site for search success would certainly want to get his hands on this lead magnet. If there was a shortcut that could take me from point A to B, I would certainly take that shortcut. Online audiences just don’t want results; they want fast results. This explains why brands that provide a fast customer service thrives. Businesses that snooze are more likely to lose. 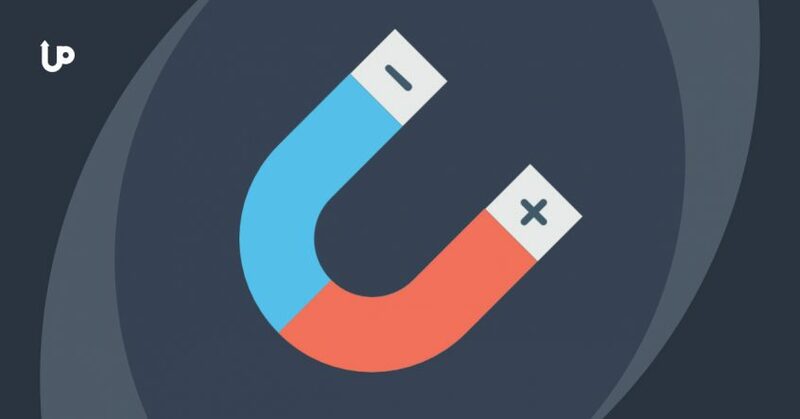 Instant gratification is another key characteristic of a successful lead magnet. Aside from the intrinsic value that your lead magnet holds, it should be a shortcut that helps a prospect move faster in the direction of his goals. In a typical situation, a website owner would use a paid tool or resort to manual methods to scour the web for potential guest post sites. This free downloadable resource that requires only an email address saves users from a lot of time and hassle. Month-long courses or a 15,000-word ebook isn’t as effective as a checklist that’s practical and straight to the point. Your prospect should be able to implement your solutions right after he consumes your lead magnet. Remember that longer is not always better! Which format works best for your audience? The type of format your lead magnet comes in can make or break your efforts. Therefore, before creating a lead magnet, it’s wise to figure out what your prospects like. Revisit your existing content – Do you have blog posts? Infographics? Videos? Check which content format has the highest number of responses. Look at the shares and comments. If you have webinars, consider the number of your attendees. Gather people’s opinions – Ask your social media audience a direct question. Create a Facebook poll so that users can select their preferred content format. If you run a brick and mortar store, you could ask your walk-in customers what they want from your website. Split test your lead magnet – A/B testing or split testing is another definitive way to know what content format works. If you use our Upviral marketing application, you’ll be able to not only create a sign-up form with your lead magnet but also split test multiple versions of it. Sometimes too, you need to use your common sense if you do business in your niche for a long time already. For example, let’s say you have a photography website. What might a good lead magnet be? If you were to offer the latest photography tricks, choose a video format. It would make a much better lead magnet than a quiz, whitepaper, or ebook. Exclusivity is a powerful marketing tactic that you ought to use if you want your lead magnet to stand out. Remember the limited time offers you yourself couldn’t resist. The same scenario applies to your audience. If you give something (for free) that isn’t available elsewhere, people will feel the urge to give out their personal information. 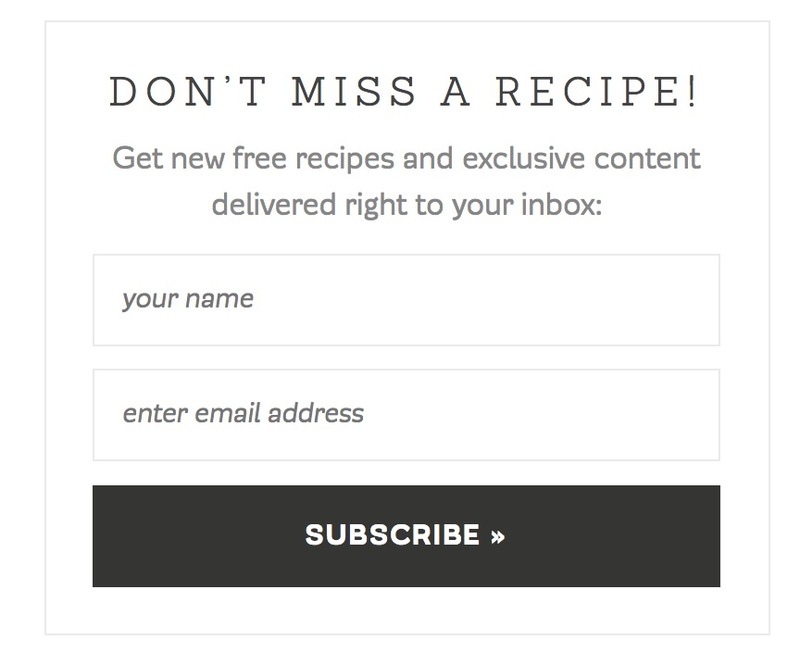 The example above shows Skinnytaste offering new recipes and exclusive content for anyone who signs up. The idea of getting exclusive recipes creates FOMO (fear of missing out) among stay-at-home moms and passionate cooks. By now, you know that the purpose of creating a lead magnet is to generate business leads. However, it’s not enough to just give away that piece of freebie in exchange for an email address. A powerful strategy to maximize the potential of your lead magnet is to align it with your business. Can your lead magnet help raise awareness of your product or service and entice people to give it a try? 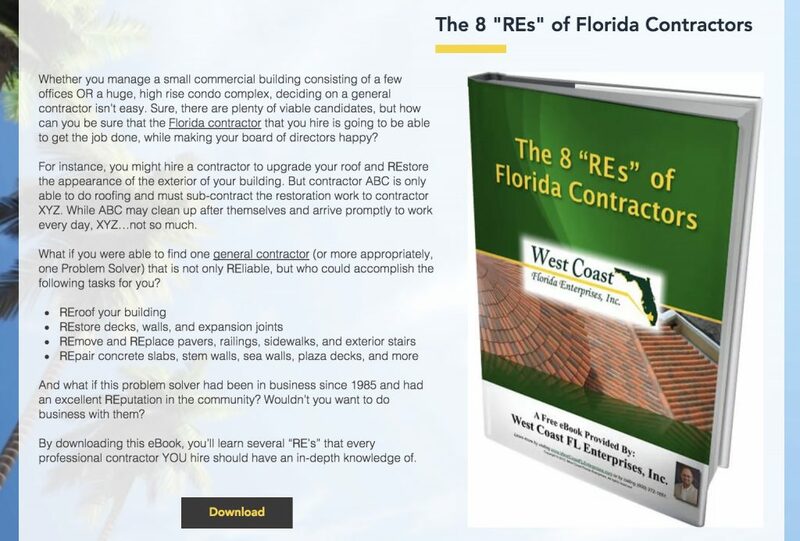 In the example above, a roofing company creates an ebook for commercial building owners who need help finding a reliable contractor. While mentioning the right qualifications and responsibilities of a Florida roofing contractor, they also introduce their services. Each service (e.g. metal roof repair) links to a page of their website where they explain more about the service. Like this roofing company, you can give away a free lead magnet that converts a regular visitor into a potential customer. Doing this will impact your business over the long-term. This should be your aim in addition to growing your subscriber list. If you’re struggling to build your email list, know that lead magnets are your strongest ally. Keep in mind the following characteristics above when conceptualizing the perfect lead magnet. Make your target audience your first priority. Do that and you’ll be able to deliver something of massive value. Is this your first time to offer a lead magnet? A surefire way to use your lead magnet to its fullest potential is to use it in a viral giveaway contest. In a viral giveaway campaign, you give away your lead magnet in exchange for them to get the word out about your business. This is in addition to collecting their email addresses. UpViral is the marketing platform that you need. With UpViral, you’ll be able to launch a giveaway campaign while positioning your lead magnet as the ultimate prize. The result is that you generate not only new leads but also create buzz for your brand. Did you learn from this blog post? Share your thoughts or ask any questions you have in the comments below.